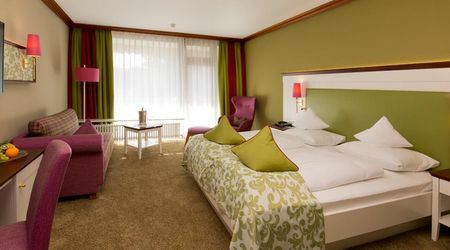 Room prices are per person and per night. The following is included in the price: accommodation, breakfast buffet, free use of the spa are with indoor pool, whirlpool, sauna, steam bath (at the times given) as well as the gym. All Deluxe rooms have a cosy seating corner and a south facing balcony (exceptional = Our "Studio" without balcony), flatscreen TV, mini bar and safe as well as a free wireless Internet connection make your stay complete. 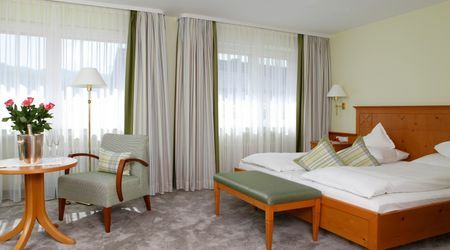 In addition, you will find a hair dryer and a vanity mirror in your room, as well as a wellness basket containing bath robes and sauna towels. All comfort rooms have a comfortable seating area. A TV, mini bar and safe as well as a free wireless Internet connection make your stay complete. 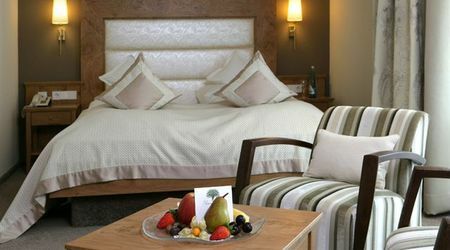 Small but mighty ... our standard room offers a warm, friendly atmosphere! 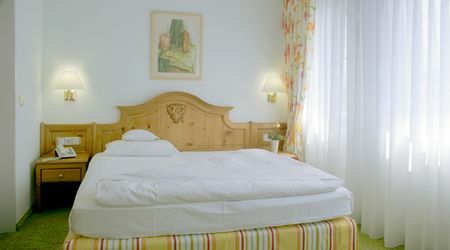 Furnished with classic wooden furniture combined with bright walls and colours. TV, mini bar and safe as well as a free wireless Internet connection make your stay complete. Large, elegant, and stylishly furnished. Our studio suites offer everything to fulfill all of your needs! Step out onto the balcony and enjoy the great views of the sunbathing lawn and the forest park oin the distance. Our studio suites are equipped with a separate living room and bedroom, which offers plenty of space to enjoy your stay in. A south facing balcony, flatscreen TV, mini bar and safe as well as a free wireless Internet connection make your stay complete. 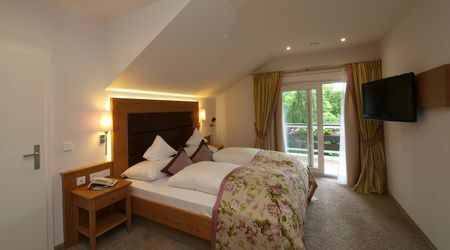 Step onto your large balcony and enjoy the clear views of the beautiful Black Forest scenery! Our studio suites are equipped with a south facing balcony or rooftop terrace, separate bathroom and WC, as well as separate living room and bedroom, which offers plenty of space to enjoy your stay in. A flatscreen TV, mini bar and safe as well as a free wireless Internet connection make your stay complete.